Tutto is known for bridging the gap between street food and modern cuisine with our specialist approach to Spain's iconic dish - paella. It is our pleasure to bring to the centre of your celebration this live cooking experience through which we share our respect for beautiful ingredients and our passion for bringing people together over good food. "It was the most stress free evening and I cannot thank you enough for taking the hassle out of the event for me, allowing me to have fun! All my guests commented on the delicious food, so thanks again!" "Tutto cooked the paellas for my 70th birthday and everyone enjoyed them - they were a pleasure to deal with." 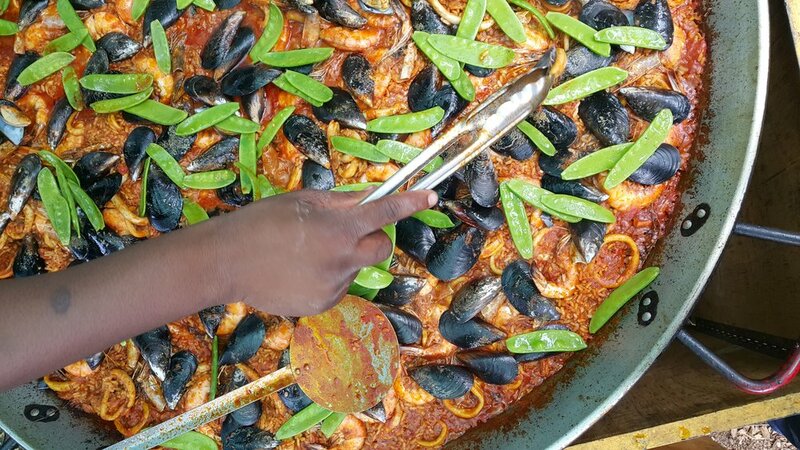 "Great to work with, reliable, punctual and most of all delicious paella. We cannot afford to partner with just anyone, but partnering on this job enhanced the brand."